Hello! 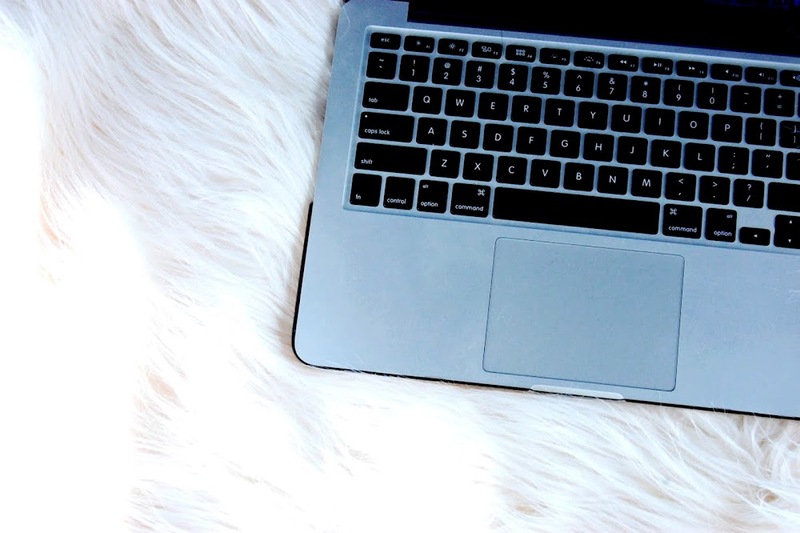 I've been kind of neglecting my blog over the past few weeks. I've decided that I really want to get back into it now and improve my writing. Of course the only way to improve my writing is by, well, writing! I've kind of given up with my 'Being Happy' Wednesday series thing. Maybe in the future I might bring it back, but I just didn't feel like it was working. Today I thought I'd show you my foundation collection! Now with the messy girl I am, I appear to have lost an awful lot of my makeup, so this isn't a complete collection, it's just all the foundations that I own that I've managed to find! I'm going to start with the bottles and tubes! I'm a huge sucker for Rimmel London and their makeup. This foundation is in the lightest shade, which is perfect for me, but doesn't really work with my skin too well. A shame as it's an almost full bottle but it stays on all day. This is the only MAC product I own. It's coverage is amazing but it, yet again, doesn't work too well with my skin. This, being rather expensive, was a waste to buy considering there's tons left and I'm probably never going to use it! Another Rimmel London foundation, this probably being my least favourite. It lasts pretty much all day, it's not lying when it claims that, but even though it's the lightest shade it's still too dark. I would have hoped that it would have been the same shade as the other foundations in 100 Ivory, but it's slightly darker which is a shame. I love love love this foundation. 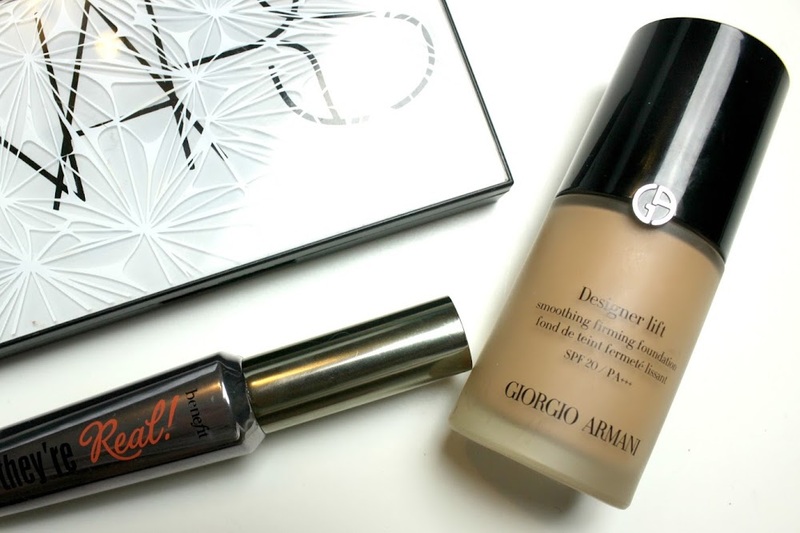 It's has a rather light coverage, it feels amazing on my skin and leaves it looking a little dewy and glowy. The only one problem I have is that if it rains this foundation will just melt on your face, however it is PERFECT for the summertime. This foundation, similarly to the last one, has a really light coverage and leaves your skin looking healthy. I love this since its a mineral foundation and it lasts quite a long time. Sadly this tube is empty and I haven't planned on repurchasing it. 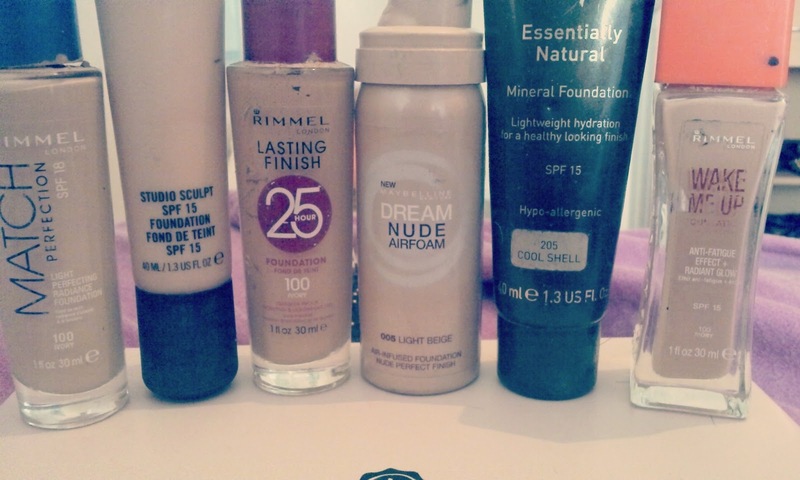 This is the last Rimmel London foundation I own, and the one foundation that I use ALL of the time. This is my favourite foundation ever. The coverage isn't too heavy, but enough to hide blemishes. It feels lovely on my skin and is the perfect colour. I use this pretty much every single day. 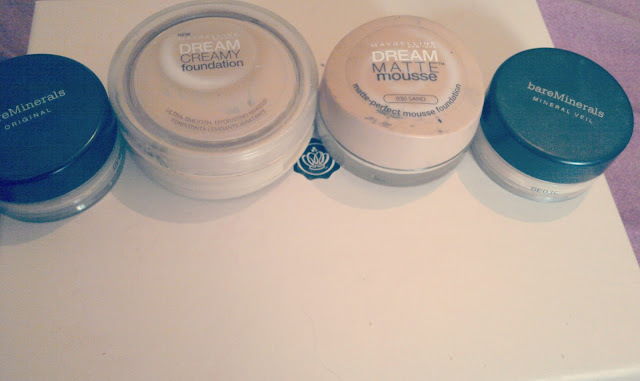 Moving onto tubs of foundations..
As you can see in the picture, the first and last ones are these. (Excuse the fact it says mineral veil, I put the wrong one in the picture!) I've been starting to use these more now. I love the fact they're mineral foundations, which means they're not blocking my pores, and they look amazing on my skin. These are quite expensive for how long they last, but to be fair I can't fault them. I'm not too keen on this. I'm not a fan of cream foundations anymore, which probably explains why I don't like this foundation. It lasts a long time, but this shade is too dark for me and where my skin is quite dry, it tends to go patchy. What I said to the last one pretty much is the same as this one. It doesn't work on my dry patches, however the texture to this one is a lot nicer than the other one. 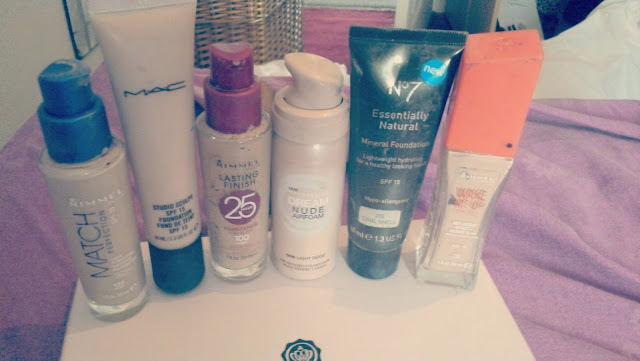 That's it for my foundation collection, tweet me if you would like to see any more makeup collections or if you have any requests as to what you'd like to see n my blog. I'm currently redesigning my blog at the moment so some of the links in the sidebar are wrong. The Rimmel Wake Me Up is very good! 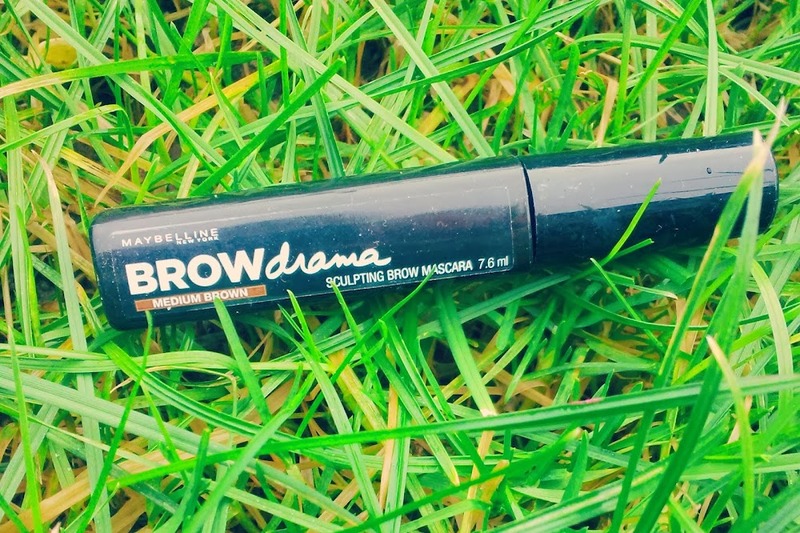 I had a sample from a Glamour magazine which was brilliant! I swear by Mac Studio Fix Fluid, I don't know whether that would suit your skin better than the Sculpt foundation? it's my favourite! Hmm, I might try it, thank you!